The juice from the core of Aloe Vera is a priceless gift from the gods, giving the precious body building substances. It contains about 160 known ingredients useful for the organism. 99.6% juice Aloe Vera (Barbadensis Miller) controlled enriched with vitamins (see below). Preservatives: potassium sorbate and sodium benzoate. Take 3 times a day 20 ml. 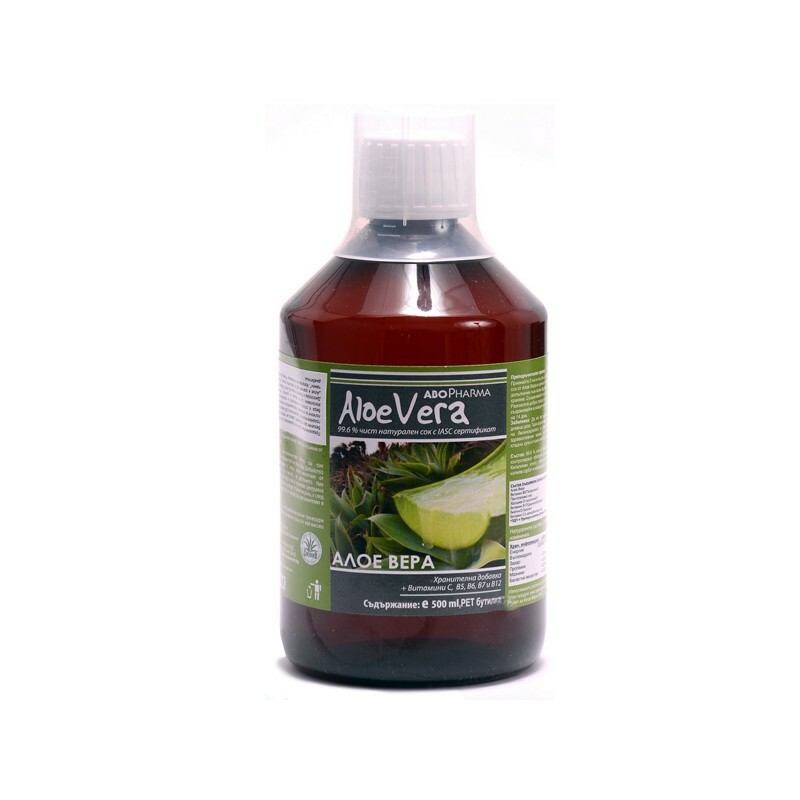 The fresh juice of Aloe Vera is a valuable dietary supplement and is in addition to a healthy diet. Store in a cool, dark place. Shake well before use. Once opened, store in refrigerator. Consumed within 14 days. You be taken by diabetics. Do not exceed the recommended daily dose. This dietary supplement is no substitute for a balanced and varied diet and healthy lifestyle. Store in a cool, dry and dark place and sight of children.